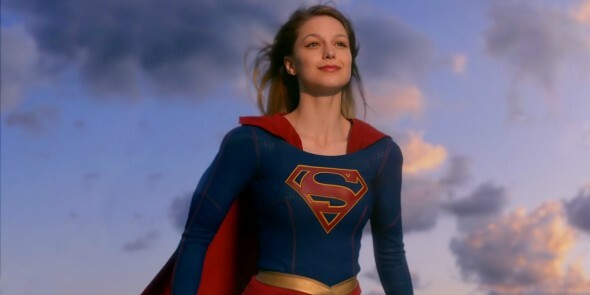 Supergirl is at the center of more buzz about a crossover with the Arrow and The Flash. The CBS series premiered in October, and talk about a crossover with CW’s DC franchise started almost immediately. So far, the crossover talk has been filed under the “maybe” column, and it is still in that column. However, the possibility is receiving some more discussion. What is the biggest problem with crossing over Supergirl with Arrow and The Flash? It is the Superman question, according to Greg Berlanti. There have been discussions on how to fix that issue. Could it lead to Tom Welling returning as Superman for all three series? Clark Kent is “shown” frequently on Supergirl. Kara talks to him via instant message at least once every episode or two. Will a crossover ever happen? It is sounding like next season is more likely. Supergirl would need to survive season one first. Do you want to see all of the DC television shows to unite for a crossover? Tell us what you think. More about: Arrow, Arrow: canceled or renewed?, Supergirl, Supergirl: canceled or renewed?, The Flash (2014), The Flash (2014): canceled or renewed? Tom Welling would be great, but don’t try to make the Smallville narrative fit with the Supergirl, Arrow, and Flash narratives. It would create too much cognitive dissonance for viewers. Green Arrow was a prominent character on Smallville and The Flash was also involved, and both of their stories were very different from the ones currently being told on The CW. This Superman’s backstory would have to be somewhat different from Smallville’s Clark Kent, but there’s no reason Tom Welling couldn’t play him. I’d love to see the crossover and then throw Superman in the mix. That would be awesome. Only Tom Welling returning as Superman would make it the best Crossover ever!!! He should have been The Man of Steel. We all watched him grow from a young Clark Kent to actually wearing the Superman Uniform in the final episode of Smallville. We need him as Superman in the crossover. I’m in!!! I would love to see it happen. Superman is, in my mind, the best super hero there is in all worlds. The only problem I see is if they choose Tom Welling, he may be a little young. I don’t know the age difference between Supergirl and Superman. In the context of this series Superman would be 35. He arrived on Earth as an infant 24 years before Kara did. And she was 13 years old when she arrived on Earth. Now she is 24 years old. So 11 years have passed since she arrived on Earth. So the 24 years before her arrival plus the 11 years since would make Superman 35 years old. Tom Welling is 38, so about the right age, as Melissa Benoist in 27 playing a 24 year old.